Celebrate Halloween with Bob’s and Dissect Our Ghoulish Frankenstein. It’s that time of year again, when we rejoice in all things eerie and macabre and teach kids to take candy from strangers. Here at Bob’s, we’re celebrating the best way we know how and unleashing our own unique creation—a Frankenwatch the likes of which have never been witnessed before. A mixture of 6 watches in 1. Genetically engineered from parts taken from six different Rolex watches and combined to form one monstrous entity, we challenge you to identify every element of our creature. But a warning; while some are easily recognized, others are devilishly tricky. Study close, dear reader, before venturing further. 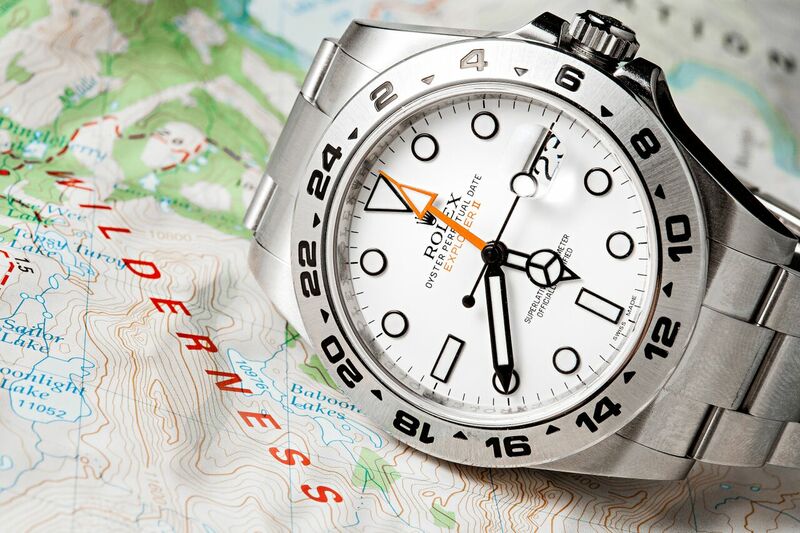 The dial of the Rolex Explorer II Polar was taken. Let’s start off easy. 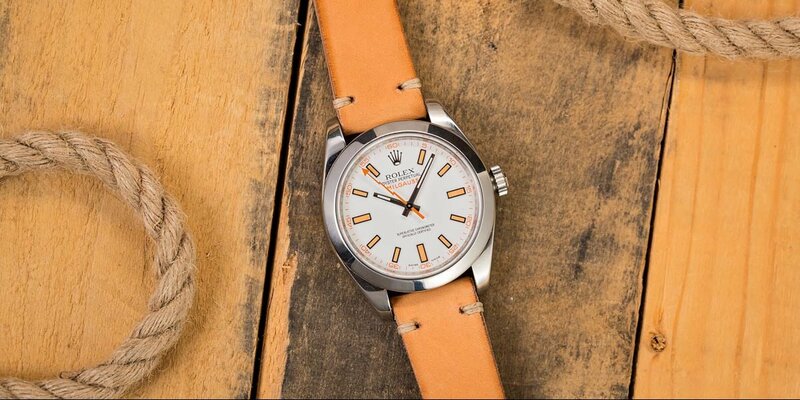 The crisp white polar dial with its bright orange arrow-tipped GMT hand would be a breeze to recognize even if it didn’t have ‘Explorer II’ splashed across it. One of Rolex’s clearest and most legible readouts, our Frankenwatch’s face was stolen from the thoroughly modern yet retro-inspired GMT-Master ref. 216570, the 40th anniversary edition first released in 2011. The black outline on the fat hands and outsize indexes produce a strong contrast that makes the dial exceptionally readable, and are coated with Chromalight, glowing a bright (and ghostly) blue in the gloom. That 24-hour Freccione hand marked a welcome return to the look of the original Explorer II from 1971. But the extra observant will spot one feature that’s out of place—fear not, all will be revealed. The Hulk was used as a part of this watch. Another simple diagnosis if you have an even passing interest in Rolex, that brawny casket with its distinctive bezel could only have come from one of two places. 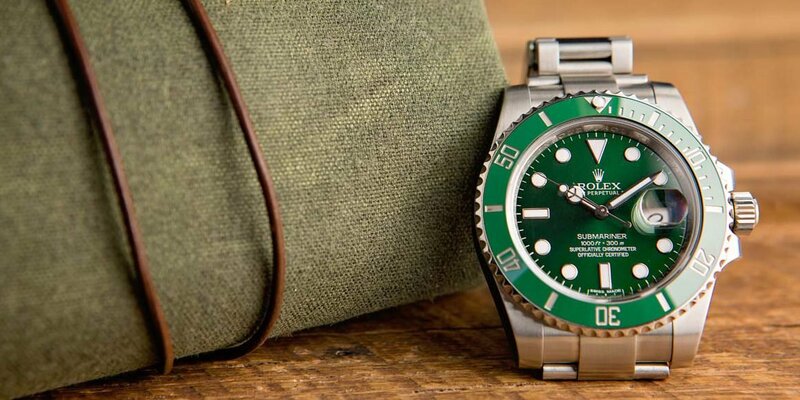 The brand’s most famous pair of green timepieces have both been versions of perhaps the brand’s all-time most iconic watch—the Submariner. 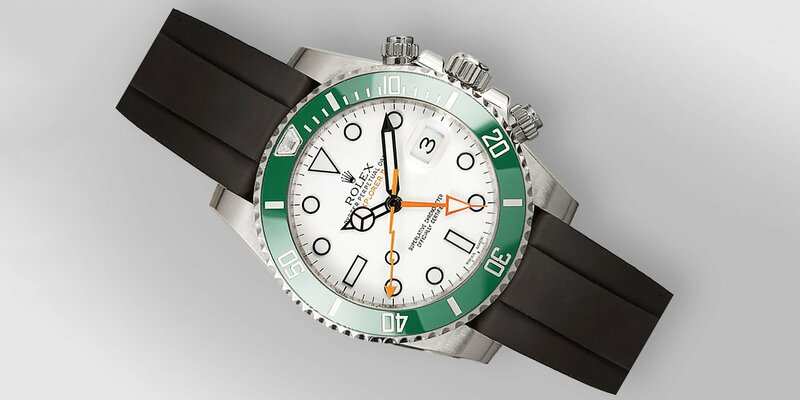 The first, released in 2003 to mark the 50th birthday of the ultimate dive watch, introduced the new color scheme on an aluminum insert in the surround. The ref. 16610LV was quickly nicknamed the Kermit. As befits a Frankenwatch, our case has been taken from the Kermit’s beast-like successor from 2010, the ref. 116610LV—The Hulk. Apart from the pumped-up dimensions, and the muscled lugs in particular, the big giveaway between the two is the Cerachrom bezel, a corrosion and fade resistant ceramic compound of Rolex’s own making. Forged from impossibly tough 904L steel and secured with a Triplock crown system, the Hulk’s case gives our abominable creation an impenetrable shell. 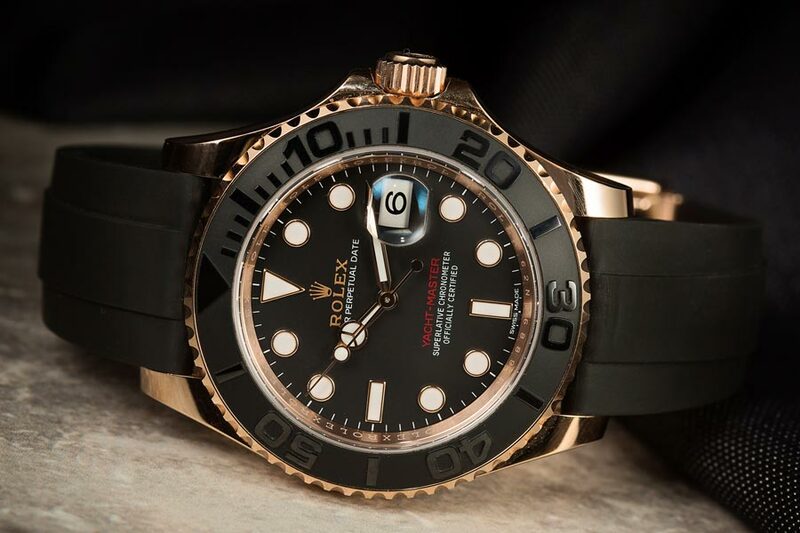 The Everose Gold Yacht-Master has an elastomer strap which was used on this Frankenwatch. Securing all this beastliness to the wrist takes something a little special, so we have selected a band trusted by sailors from Rolex’s nautically-themed Yacht-Master. What at first glance could be mistaken for a simple rubber strap is, in fact, a highly-engineered titanium and nickel alloy blade coated in a hypoallergenic black elastomer. 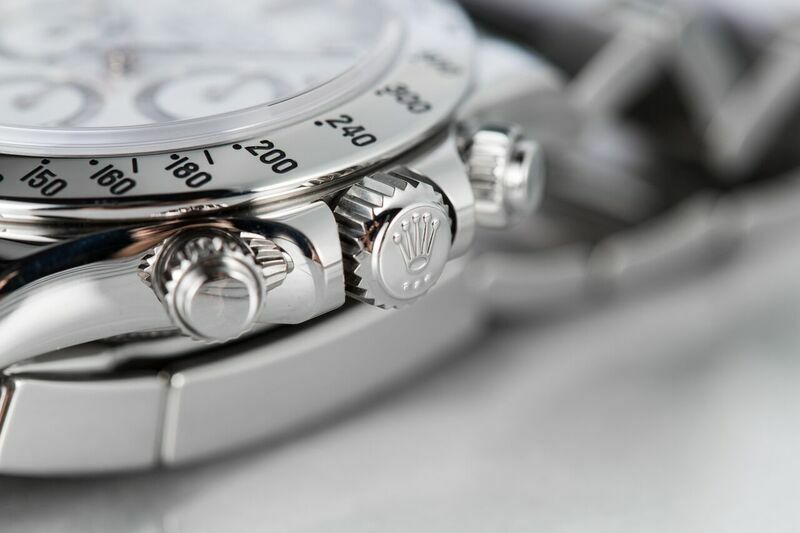 It gives the Oysterflex the strength of any of Rolex’s metal bracelets while providing enough suppleness to allow it to mold to the natural shape of the wearer’s arm. Two longitudinal ridges underneath give the watch a cushion that prevents it from shifting position as it’s worn and allows air to circulate around the skin. Fastened with the Oysterlock clasp, it keeps Frankenwatch chained down tight. The pushers came from a Rolex Cosmograph Daytona. From here on out, events take a more dastardly turn. Those pushers, sitting like gruesome bolts through the neck, have no business on a Submariner case. The ever-vigilant will have identified them as liberated items from a dearly-departed Daytona, used to activate the stopwatch sub dials on the world’s favorite chronograph. Lying against the Sub’s more rounded crown guards, we can only guess at what grisly functions they perform, but they accentuate the commanding presence of the Hulk’s mighty body even more. Getting down to the details, the Frankenstein has the Milgauss’ seconds hand. Kudos to those who noticed the anomaly on our Explorer II dial. A fitting addition for a Frankenwatch, the lightning bolt seconds hand is taken from the preferred timepiece of all scientists, mad or otherwise, the Milgauss. Originating back in 1956, the latest version released in 2007 is another that has a healthy dose of nostalgia in its makeup. Guarding its delicate internal movement against the harmful effects of magnetism, the Milgauss shrouds its entire caliber in a Faraday cage. The natural predator of mechanical watches, we are exposed to magnetic fields of differing strengths every day. With its soft iron enclosure, the Milgauss earned its name by being impervious to the effects of fields up to 1,000 Gauss. For reference, your cell phone will generate somewhere in the region of 20-60 Gauss. The lightning bolt seconds hand is a jaunty embellishment from the normally straight-laced Swiss. Having debuted on the original model, it was absent for many of the intervening years before making a welcome comeback on the most recent edition. On our creation, the bright orange is an identical match for the Explorer’s GMT hand. Last, but not least, the diamond from the Pearlmaster was placed on the bezel at the 12 o’ clock position. If you noticed this one, you are to be either congratulated or tried as a witch. It would take an almost ungodly knowledge of all things Rolex to spot the non-standard capsule on the Hulk bezel’s 12 o’clock position. We swapped out the regular Chromalight-filled piece for a tapered diamond baguette from the ladies Pearlmaster range. Rolex employs a small army of gemologists at its Chêne-Bourg site in Geneva, painstakingly X-raying and testing each precious stone that comes through the doors. Selecting only those rated as Internally Flawless (IF) and with a color within the four purist grades of D to G, each gem is placed by hand into a bespoke setting. For us, it tops off our creature with a small but immaculate flourish. Everything we sell here is guaranteed as 100% authentic Rolex, so this is the only Frankenwatch you’ll ever see at Bob’s! But, as it’s Halloween season, what elements would you combine from the entire Rolex range to build your own fiendish creation? Let us know in the comments section.